Tec or Tech dives: Deep and/or long dives require specific training with experienced supervision. 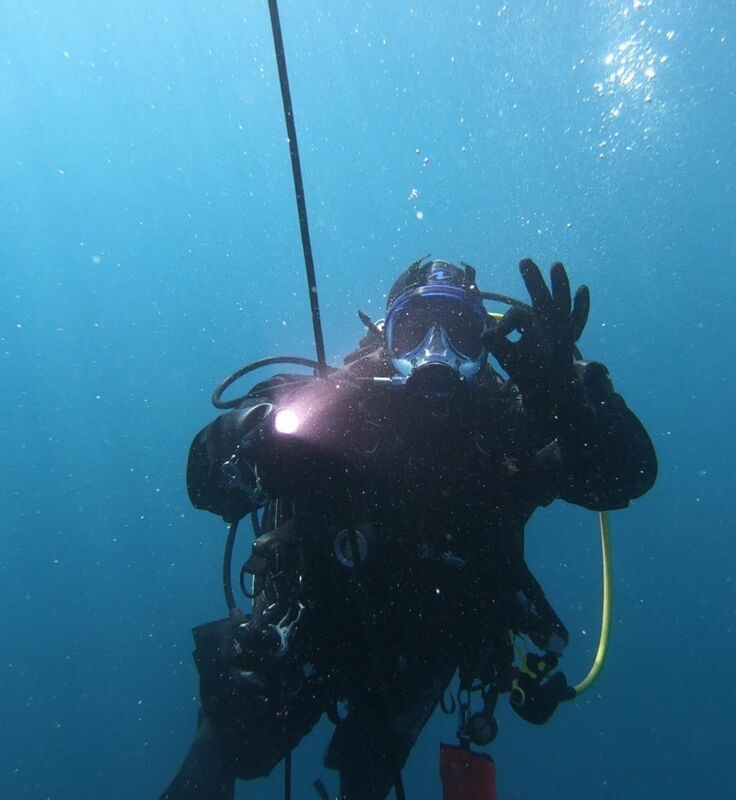 These courses extend the skills acquired in recreational diving by improving dive planning and techniques, adapting equipment and breathing mixtures. The teaching is based on the experience of diving techniques and also on the latest technological developments. Technical Diving courses are constantly updated. Outstanding service, a breathtaking inflation station even for 300 bar blocks or various mixtures. And the icing on the cake is the spacious and welcoming facilities. A great BRAVO to Cedric and Jules. To recommend with your eyes closed. I recommend this center to both novice and professional divers. The teaching and the sites are exceptional and especially close to the center which allows to optimize the diving time. Nothing to say, everything is there…. It all started at DECATHLON with the presentation of a new diving club on the PO! Frankly, very good, very professional and safe briefing, quality equipment (BEAUCHAT) and in excellent condition (living in Martinique we are afraid of cold but the suits are great! ), very friendly atmosphere we really don’t have the impression to be in a diving factory as it can happen in commercial structures, but on the contrary to be spoilt by the team! As for the premises, the icing on the cake is that they are super functional, brand new and we even have the right to hot showers after the dive in super clean locker rooms.